Stressed about attending or hosting a formal reception? Don't be. 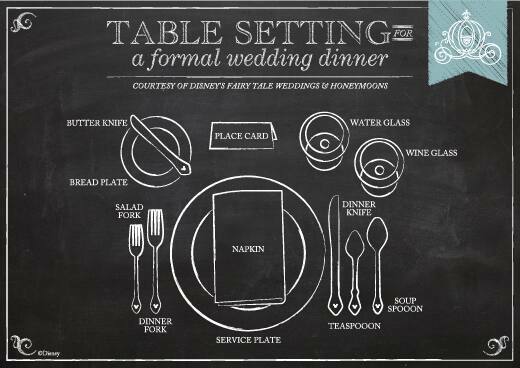 Today I'm breaking down formal table settings and sharing a few tricks of the trade. With all those utensils, centerpieces and linens on the table it's easy for guests to get a little overwhelmed. My general rule is always this - start with the silverware farthest from your plate and work your way in. It's also helpful to keep in mind that you drink to your right and eat to your left. This will come in handy when you're trying to figure out which water you're supposed to sip on or which roll is yours to enjoy.